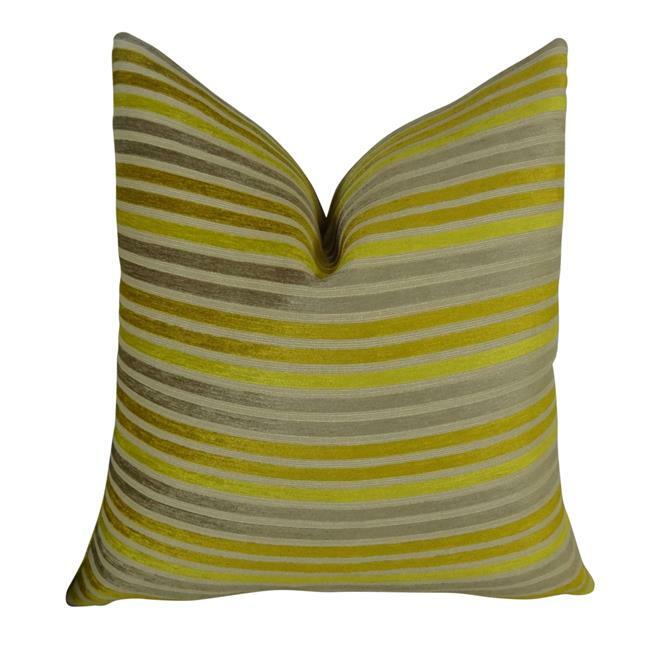 Add a pop of color with this designer stripe throw pillow in Lime and gray colors. The front fabric of this stunning sofa pillow is a blend of cotton, polyester and viscose; origin: Italy back fabric color: pine invisible zipper for a tailored look pillow insert: down alternative polyfill (included) available in different sizes, single sided or double sided. Handmade in USA.